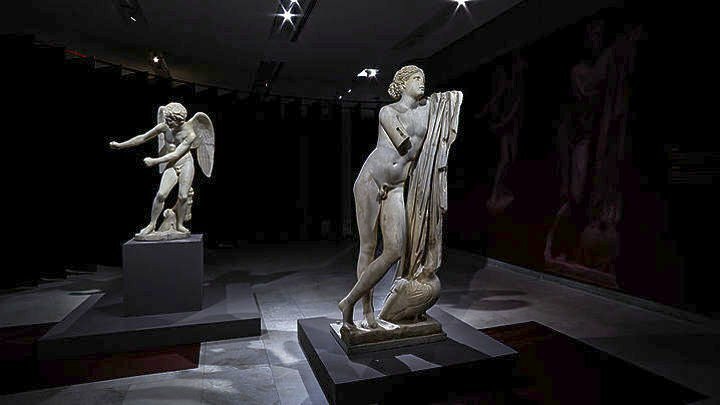 The unseen emotional landscape in ancient art is explored in the exhibition “Emotions” organized by the Acropolis Museum and the Onassis Foundation, which is to open in Athens on Tuesday and run until November 19. Featuring 129 artifacts from some of the greatest museums in the world, the exhibition was first shown at the Onassis Cultural Centre in New York under the title “A World of Emotions: Ancient Greece, 700 B.C. – 200 A.D.” until June 24 this year, where it won over the public to become one of the most visited exhibitions held at the center. According to Pandermalis, a walk around the exhibition “is a noisy walk through the human soul, whose passions are expressed through the filter of ancient art.”Many of the exhibits are unique works of art that are presented in Greece for the first time, while others are works from Greek museums that are getting their first international exposure, he said. The exhibition in Athens had a similar arrangement and succession of works as that in New York, he added, but was in a different setting where the visitor’s course was suggested by a spiral of vinyl “banners” in different shades of red, from light rose to dark red, that correspond to the range and intensity of human emotions. The spiral also embraced the two central exhibits, from the bright statues of Eros and Pathos bathed in plentiful light to the mural depicting the sacrifice of Iphigenia displayed with low lighting in a dark recess. The setting also uses the color grey to offset the red and represent the world of reason in the human psyche. It is split up into five sections and enriched by 11 videos set up next to original works of art that narrate the myths on which the various images and artworks are based.